Independent boutique hotel and design hostel combination with the best customer service in the city. 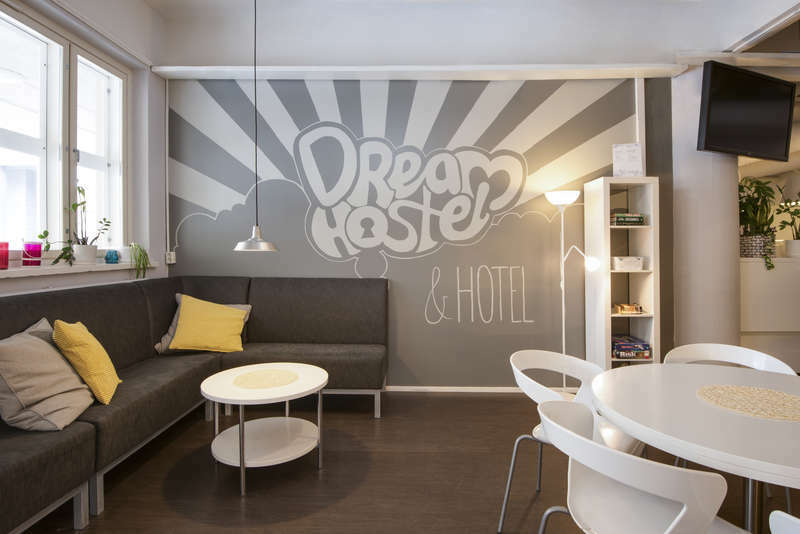 At Dream Hostel & Hotel you can find all the common hostel services, including guest kitchen, lounge, laundry et. We also have free, superfast wifi covering all the rooms and common areas. If you desire more privacy, the brand new hotel side will be your selection. We also serve breakfast. No matter where you come from by car, just follow the signs to Tampere Talo (Tampere Hall). We are located right opposite. From the Tampere airport, catch the shuttle bus to city center and get out at the train station. We are 5 minutes away - again you can follow the sings to Tampere Talo. Additionally, we are just 5 minutes away from the train station and 15 minutes from the bus station. From the bus station it's just 10min walk up the small hill (Vuolteenkatu) and you are basically here. Take a left turn to Yliopistonkatu, walk this street for one block, and turn again left to Åkerlundinkatu. On the right you find the entrance of Dream Hostel Tampere.From the railway station, take the underpass, go up the stairs and out from the doors on right and walk straight until you reach Åkerlundinkatu. At the end of this street, on the left hand, you find the entrance of Dream Hostel Tampere. In case of no-show, first night fee will be charged. Cancellations min. 24hrs before check-in. No deposits taken. Age limit in the dormitories is 18. Guests younger than 18 must stay in the private rooms. If a person under 18 is planning to stay without an adult, they ought to bring a consent form signed by their parents/legal guardian.